This blog tells a valuable story about the relationship between human and dog. Most importantly it tells a story about communication and respect. The new year should be a party for everyone. For you, for your friends, for your family, the neighbors, but also for your dog. When your dog is afraid of fireworks, New Year's Eve will be very different than you have imagined. If your dog has anxiety you will be looking forward for this time to be over as soon as possible. 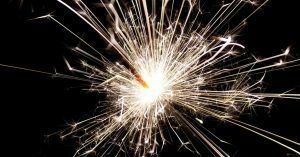 Read, in this blog, many tips for your dog and fireworks and make sure you can make a big New Year's party together. 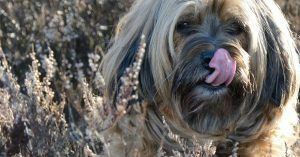 There are several reasons why dogs lick. Dogs can also lick other dogs or animals, as well as people or objects. Below will be explained what the different reasons of dogs can be to lick. 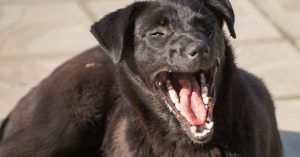 The reason that dogs are yawning can be different depending on the situation. Think of yourself, why do you sometimes yawn? It is not always because you are tired. It is sometimes very contagious when the person is yawning next to you, you can see it, and will start doing the same. In this blog you can read the different reasons why dogs are yawning. 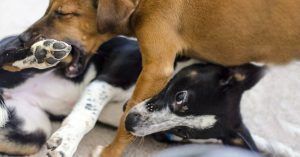 How do you deal with fighting dogs at home? 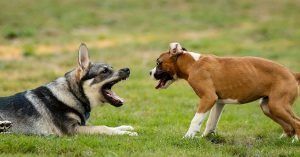 There is a lot being said about dangerous, fighting dogs, or high-risk dogs as they are called by insurance companies lately. However these dogs also play an important role within a family unit. This regularly causes disputes about these breeds and the human emotion, which is accompanied by far-reaching decisions for well-intentioned and very conscious owners of these dog breeds. By labeling them as ‘monsters’ or ‘danger’ you are making a mistake. If you truly understand the nature of those dogs, you probably will not use those labels. e-Book Learn everything about the 7 puppy problems everyone runs into and how to avoid them! Avoid puppy problems! Follow hundreds of dog lovers before you and download the free e-book!